Stem Cells have fascinated scientists, doctors, and now the public. The book looks at the history, the science, the legendary scientists, the Pros and Cons, the modern application to diseases, and Father Time. Stem cells are blank or undifferentiated cells that turn into specialized cells and tissues where they are introduced in the body. There are various sources of stem cells and various applications. 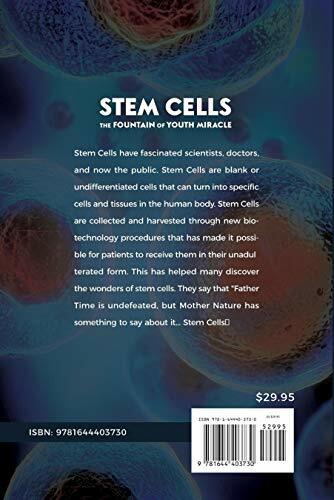 Stem cells are truly the 21st Century Fountain of Youth when you go to www.clinicaltrials.gov, you see the thousands of studies currently being researched. 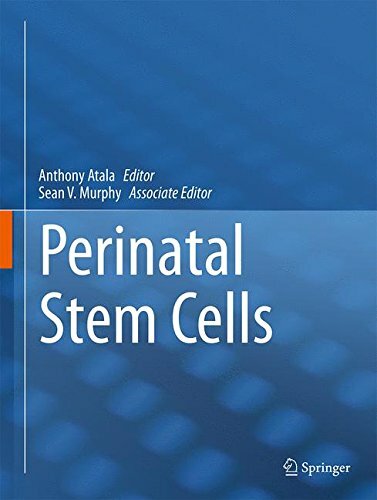 This comprehensive volume is one of the first books to offer the reader detailed insight into sources of perinatal stem cells, their biology, and their potential for disease treatment. It examines the research and therapeutic applications of perinatal stem cells including the treatment of renal disease, hematopoietic regeneration, cardiac disease, inflammatory disease, bone regeneration, pulmonary disease, and the treatment of spinal cord injury. Further, the book discusses current progress in the manufacturing, banking and clinical translation of perinatal stem cells. Through this book, readers will gain a thorough understanding of the current pre-clinical and clinical applications of perinatal stem cells as well as the efforts to support the transition of perinatal stem cell therapies from laboratories to clinics. Perinatal Stem Cells contains thirty-two chapters written by internationally recognized leaders in stem cell research. It is organized into four sections covering amniotic fluid stem cells, placental and placental membrane stem cells, umbilical cord stem cells, and clinical translation. This cohesive structure provides an effective framework for detailed insight into this new frontier. Edited by Dr. Anthony Atala, one of the foremost experts in the field, and his co-editor Dr. Sean V. Murphy, this volume is a definitive work for stem cell research and its future implications. It is a key resource for all stem cell researchers, clinicians, and government and industry staff working in this dynamic and exciting field. Tissue engineering integrates knowledge and tools from biological sciences and engineering for tissue regeneration. A challenge for tissue engineering is to identify appropriate cell sources. The recent advancement of stem cell biology provides enormous opportunities to engineer stem cells for tissue engineering. The impact of stem cell technology on tissue engineering will be revolutionary. 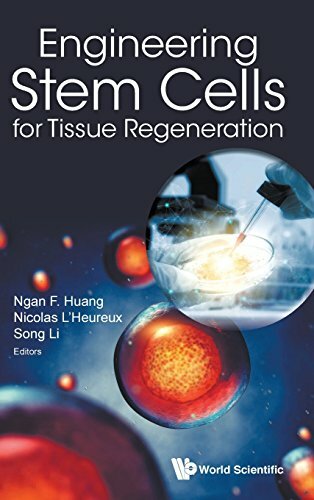 This book covers state-of-the-art knowledge on the potential of stem cells for the regeneration of a wide range of tissues and organs, including cardiovascular, musculoskeletal, neurological and skin tissues. The technology platforms for studying and engineering stem cells, such as hydrogel and biomaterials development, microfluidics system and microscale patterning, are also illustrated. Regulatory challenges and quality control for clinical translation are also detailed. This book provides an comprehensive update on the advancement in the field of stem cells and regenerative medicine, and serves as a valuable resource for both researchers and students. Readership: Life science scientists; biomedical researchers; cell biologists; academics, postgraduate students and advanced undergraduate students in cell biology, biochemistry and genetics; surgeons; clinicians; biotechnology and pharmaceutical industry professionals.